Hey, what timing. Just hours after psychopath Charles Manson finally jumped into the rocket sled to Hell, we're getting further details on Quentin Tarantino's new movie which has the Manson murders as a backdrop. 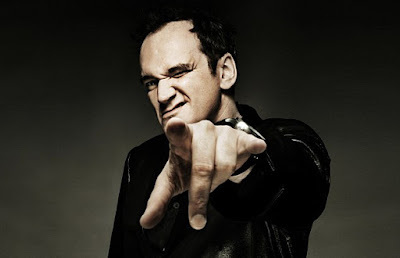 Just a few days ago Tarantino jumped ship from Weinstein over to Sony Pictures after a fierce bidding war for his ninth movie, and now we're getting a little bit of insight into what they paid a truckload of money to get. So like Tarantino has been saying, the movie isn't about Charles Manson, just set in 1969 as the Manson family were taking taking a knife to the peaceful "flower power" era. That could be interesting, especially if Tarantino keeps both feet rooted in reality, something he hasn't done in a very long time. But something tells me an exaggerated narrative will emerge at some point because that's just how Tarantino likes to tackle issues now. Reportedly budgeted at $100M, the film has Margot Robbie being sought to play Sharon Tate, while Jennifer Lawrence, Tom Cruise, Brad Pitt, and Leonardo DiCaprio are up for other roles.